London Chess Classic – Playing with the big league! 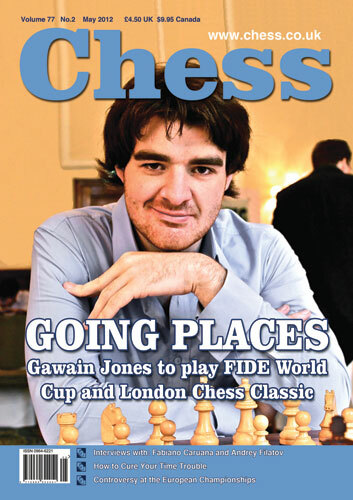 Just in case you didn’t know (being on the front cover of CHESS) or haven’t kept up-to-date with the latest tweets from the London Chess Classic, I’m pleased to say that Gawain will be playing the the upcoming London Chess Classic. As you know by the previous editions, the field is extremely strong and this year it’s a category 21 with a 2758 player average. Gawain is very excited to be playing World Class players and looking forward to meeting them over the board. From memory, he has played Mickey, Nigel, Luke, Hikaru and Magnus. He also shares a birthday with the World Champion, Vishy Anand. Having won the London Chess Classic FIDE Open in 2010, last year he also played but didn’t manage to defend his title. During the games, he told me he was extremely distracted with the top games wanting to be there playing with the best! If you haven’t yet visited Kensington Olympiad, be sure to make the visit. It’s well worth it.